It's a cold NYE in Victoria, so looks like it's time to tally how I did for the year. I got my first boat on January 5, 2008. Since then, I've been on the water a total of 63 times in the kayak and an additional 6 days spent sailing. 69 days on the water total. I managed to paddle 602km from the Wailua River in Hawaii to Lake Pend Oreille to Clayoquot sound. My most active kayaking month was May. 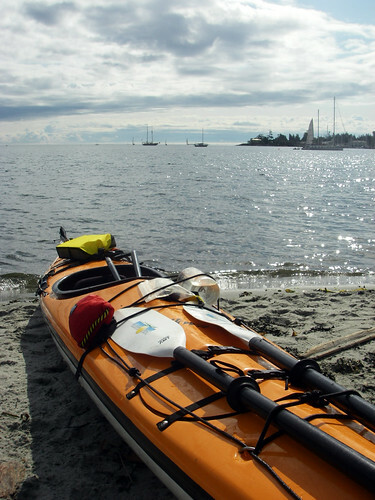 I managed to enjoy three camping trips by kayak. All were with friends from West Coast Paddler. Very few cancellations from weather, but the worst kayak season this year for me was December - with August making a close second. Kayaking and walking to work, along with cutting back on junk food (empty calories), has helped me lose just over 40 pounds this year.